I'm looking for a new book to read right now. Since Christmas, I have read The Mist and Blaze, both by Stephen King, Mr. B. Gone by Clive Barker, and Double Cross by James Patterson. I'm a fan of Barker but haven't read that one. Was it good ? Not really. It's told from the first person perspective of a minor demon who's telling his life story. At the end of almost every chapter and as whole stand alone chapters themselves, the demon keeps trying to persuade, threaten, cajole, and tempt you to stop reading the book and burn it. That part got old real fast. I've read everything Clive has ever published (as far as I know), many of them multiple times. This is, in my opinion, his worst book. I would not recommend it, especially for a Clive Barker fan. On the other hand, I ordered The Duma Key by Stephen King today. 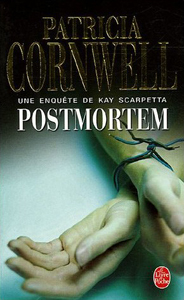 This week I began "Postmortem", writted by Patricia Cornwell. It's very good, a serial-killer book but this time it's a woman, a doctor, who try to find the killer! The last book I've finished was Corsair by Tim Severin which I had bought without having yet read anything from the author. It was a good surprise. If it was not very original for a pirate tell taking place at these dates (especially when you have worked a bit the subject for your Furry Pirates campaign ), it was nicely written. I didn't get bored and will certainly read the following book when it will be released. Actually I'm reading several books (holidays help !) 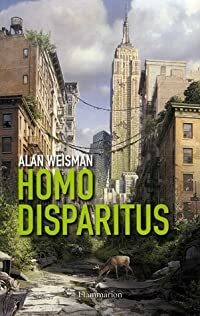 which includes first a French (translated) edition of Homo Disparitus by Alan Weisman. I'm just at the beginning for now but it's quite interesting and surprising as you discover unexpected strengths and weaknesses of the world man has created and see how fast it would be absorbed by Nature if men disappeared from the surface of the planet. For now it starts nicely I must say and I'm curious about the rest to come. Good thing as one of the reason I bought this cycle is to get more familiar with Warhammer 40k as I've got myself the new RPG released in this universe: Dark Heresy to which Dan Abnett participates a lot according what I've read on different RPG websites. This campaign clearly goes in my too rich list of "campaigned to be played" !!! I am currently reading The Tricksters, by Margaret Mahy, a novel I read many times many years ago in its French translation, Les Ensorceleurs. Ruth S. Vose, San Francisco Public Library wrote: A Christmas story that takes place on the beach in a sunny New Zealand December. (...) To most of the Hamilton family, the three young men who drop in on their holiday seem to be ordinary, although eccentric, visitors. To 17-year-old Ariadne (always called Harry), they are much more than that, perhaps ghosts, or even characters come alive from a story she is writing. Mahy has caught the essence of the adolescent's painful separateness; cut off from her childhood, Harry stands alone in her family. Whatever they are, the Tricksters act as a catalyst, drawing Harry out of childhood and causing her to raise the family's tensions and reveal their secrets. It is a very nice reading. I read it first time as a teenager and felt a strong link between the main character, Harry/Ariadne and me, and I think it is a very nice novel about adolescence and family. I post below a pic of the French cover, which is quite nice, whereas the cover of the English edition I'm reading is one of the ugliest I ever saw ! Some days ago I've finished the third book of Jim Butcher's Dresden Files series: Grave Peril. As I get in this series I found it more and more interesting. I didn't get caught at once with this third book but I can tell you I just couldn't get rid of the book while its last third !! Scary thing it that now I have very strong expectations for the other books. I really prefer that wizard to the other Harry ! LAst book i finished was Eragon...and no i ahvent seen the movie of it yet i wait till i have read all 3 books. I beleive books are mroe fun then the movies made out of them sometimes..
Not read much lately but the last two books I have read where Autobiographies. First was Meat Loaf and the second was Ian Botham. oh i got a little book from my uncle with austrlian travelstoreis it starts with the discovery on australia....borriiiinnngg..skipskipskip...then it start abotu different people to australia not really intresting but oh well..